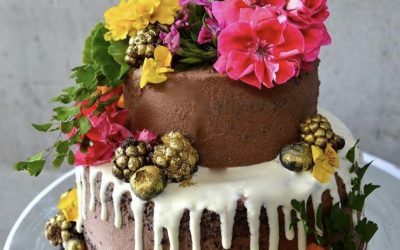 We hope you don’t get too hungry looking through the best selection of Sunshine Coast Wedding Cakes, from Montville to Maleny and beyond. 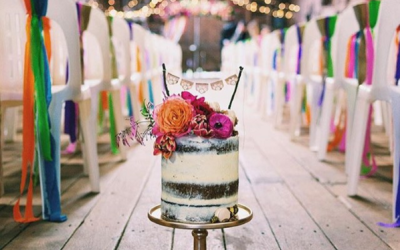 If you are planning a Montville, Maleny or Sunshine Coast Hinterland wedding you will want a wedding cake that matches your style, theme and vision. Traditionally the wedding cake is a symbol of prosperity for the couple getting married. The wedding cake was stacked as high as possible for the couple to kiss over. In modern times, decadent desserts, to multiple layered cheese wedding cakes are presented. 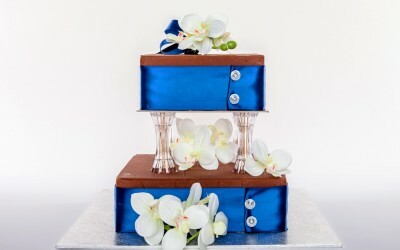 Sunshine Coast Wedding Cakes by Fudgyboombahs, Montville, Maleny and SE Qld.